A Nor’easter blowin in | Woxford Brewing Co. I recently spent two weeks in New York City for work. One of my co-workers was coming in from the Boston area via train. This afforded him a really special perk: BYOB! That’s right, you can bring your own beer along for the ride. 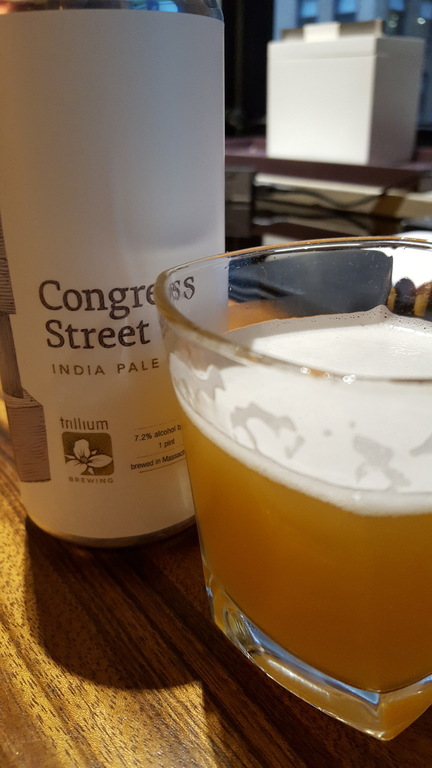 My friend was nice enough to bring some of the finest NorthEast IPAs that he could get his hands on including Trillium, Baby Genius, Industrial Arts Wrench and quite a few others. I’ve recently brewed a NEIPA beer which turned out much better than expected for a first-time recipe. It was very well received and the only correction for my palette was the maltier character that came from a 50% Marris Otter grain bill. After almost drowning in NEIPAs in New York I have been craving to update my Session IPA done with the techniques and hopping rate used in Hop Candy. Today is that day. 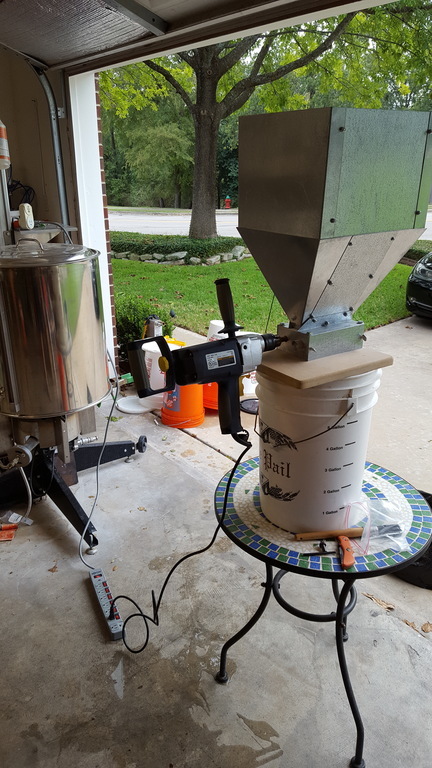 Here’s the recipe and follow along brewday below. 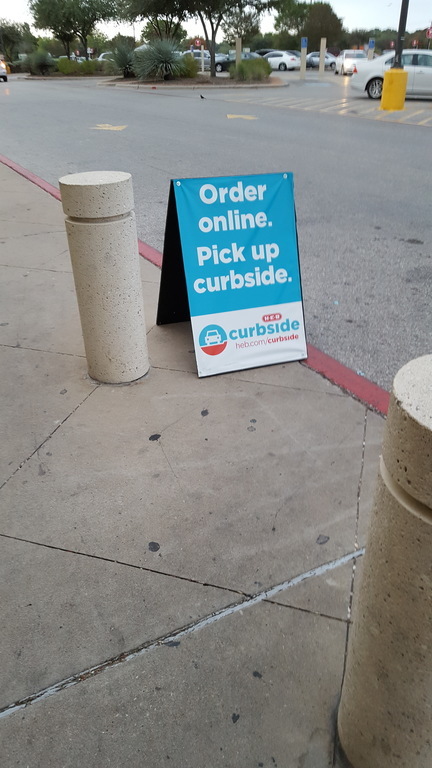 Local grocery store as a new curbside pickup… hrm, I wonder if they fill 22 gallons of Reverse Osmosis water? Guessing not. 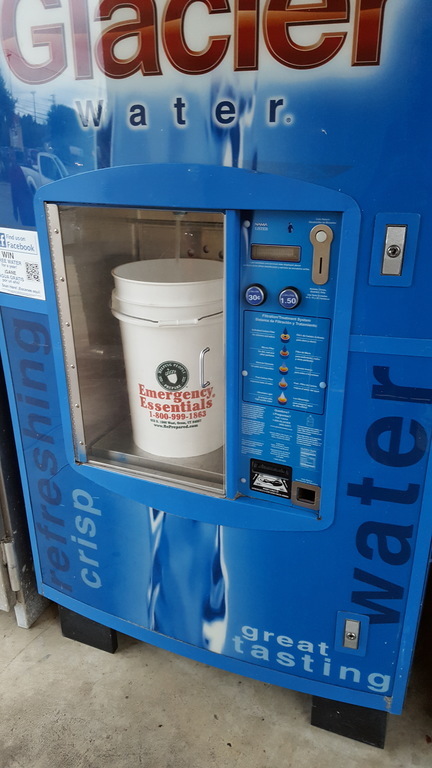 You’re damn right that RO water is an Emergency Essential to my IPAs. Crush em all! Even the Flaked Barley and Flaked Oats! 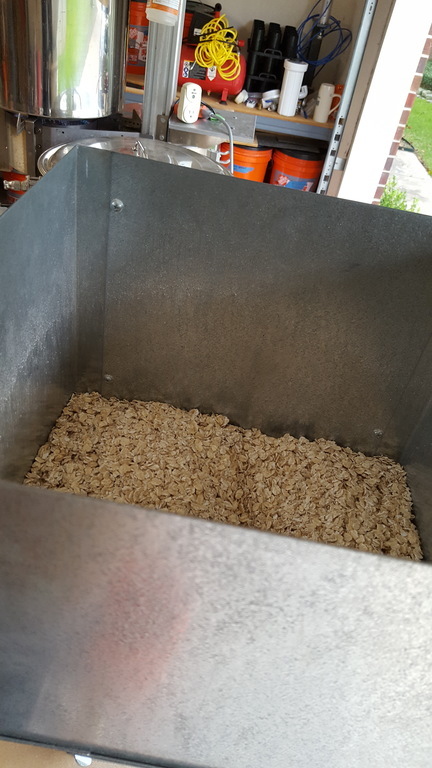 Split the crushed grain into two buckets since I’m mashing in solo today. 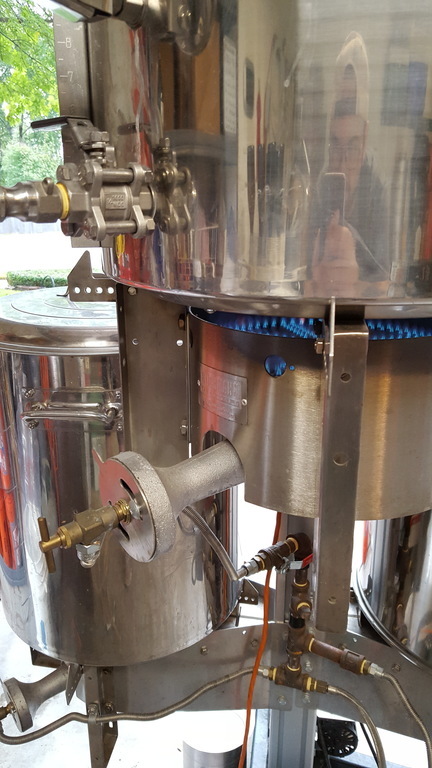 Don’t forget to heat the sparge water… this time. 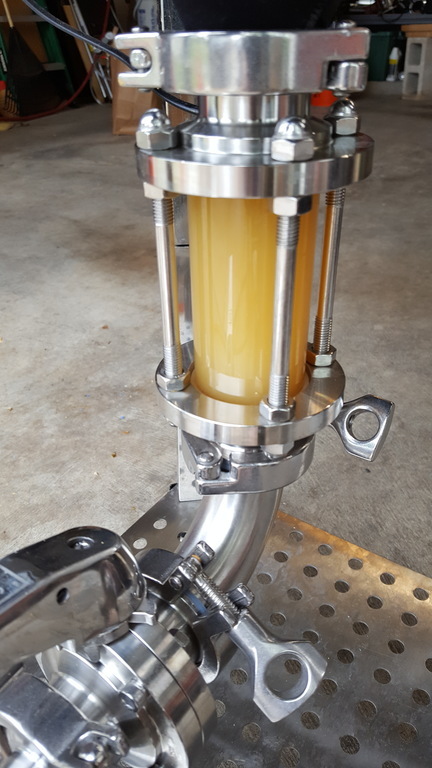 Transfer, sparge time. Glad I remembered to heat the sparge water. Look at that layer of sparge water over the grains. I was surprised at how well the grain flowed without any rice hulls and all of the barley/oats which were pretty dang gooey. Brew day requirement: special beer from the shed. 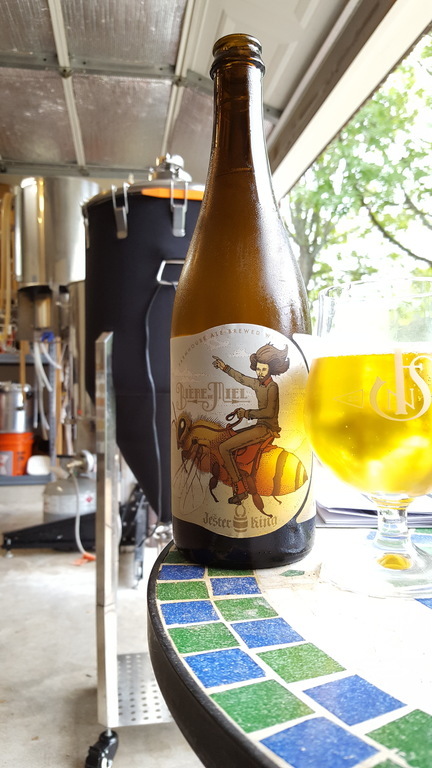 Today I pulled out a Jester King Biere de Miel Honey Sour Saison from 2014. The story behind this beer is pretty neat. Garret of Jester King at the time related that this first batch was brewed in December here in Texas which has quite cool mornings but is nothing like fall or summer where at dawn it’s already 70F or 80F+. The interesting part was that beer reached terminal gravity much faster than they expected despite the lower temperatures. It turns out that the Jester King mixed-culture is somewhat unique in that at cooler temperatures the bacteria tends to take over if the sacchromyces isn’t warm enough and it resulted in a beer that’s pH was quite a bit lower than expected. The result is this perfect balance of malt, honey sweetness and strong but soft lactic acidity. Even after 3 years the beer holds up very well. Oh right, *lots* of hops needed. This is just the 5 minute addition and the steep. 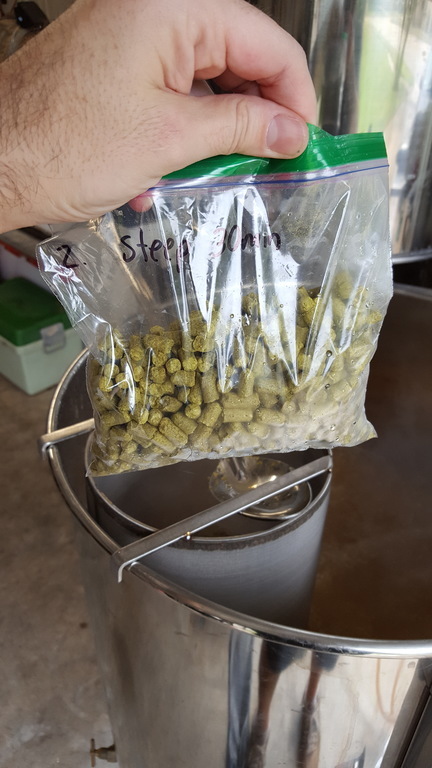 There are still two more rounds of this same size (~9oz) for two dry-hop additions. Also special Equinox Cyro-hop injection at steep time for shits and gigs. That’s right, another massive does at steep time. I decided to do a bit more hands on with the hops this time. Normally I just leave the hops in the basket and move along. 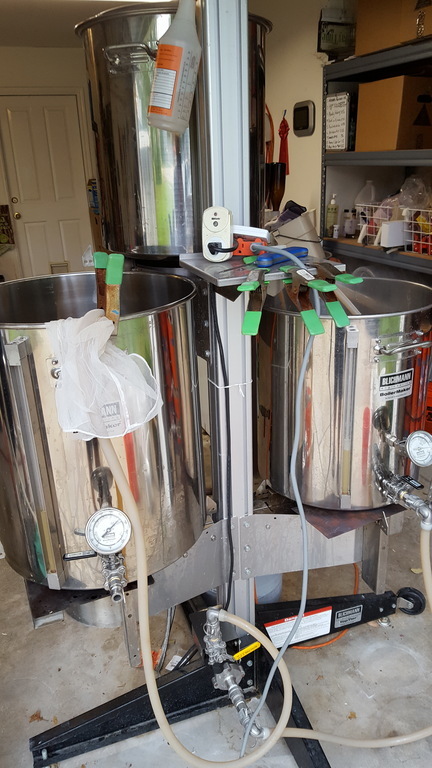 However this time I stirred the hops continuously to help distribute as much of the hop oils as possible. 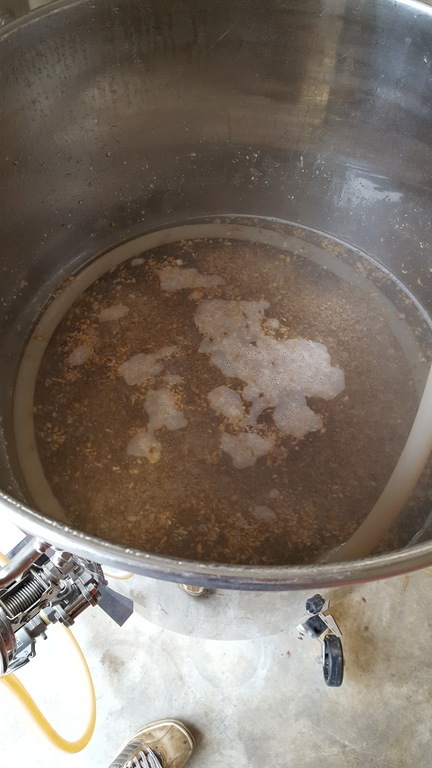 When I added the hops for steeping I also stirred and then I lowered the hop basket to the bottom of the kettle and since the wort is not longer boiling it stays put exposing more wort to the hops. Let’s see if that pays off. 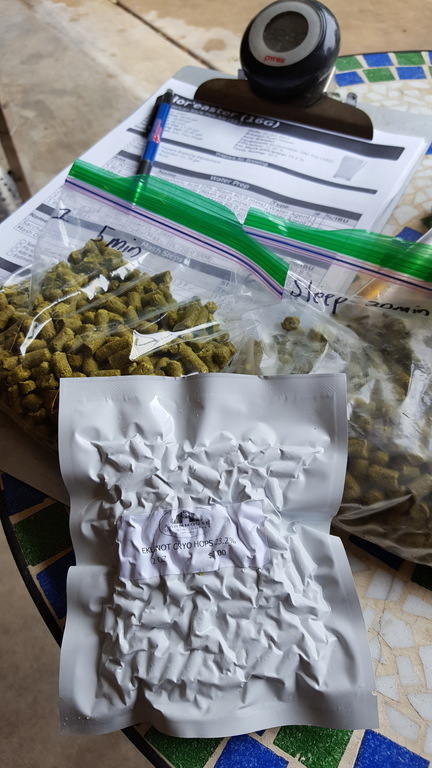 This entry was posted in Beer, Equipment, Recipe, Techniques and tagged neipa by funkmetal. Bookmark the permalink.